Tonight we stand on the eve of what is one of the greatest days on the calendar for us as citizens of this nation. When the polls open, Americans from all over this great nation will take to the ballot box to elect many of the Representatives that will be guiding this country. 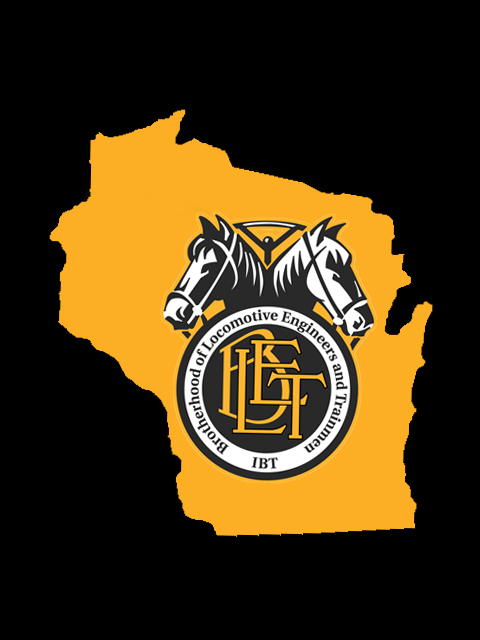 Having spent the last few weeks talking personally to many of the members here in Wisconsin I am proud of how engaged the BLET members are in this most important process. As you all know we as railroaders have many things at stake in the results of this election. Many of the rights we have, specifically our own railroad retirement, have been under nothing more than and all out assault in an attempt to take from us what we and former railroaders have worked so hard to attain. I know that many of you have already voted either by early voting or absentee. For those who have not yet voted I ask that you consider the stance of candidates in respect to our rights. The choice, especially at the Presidential level, is striking clear. President Obama has pledged to defend not only our labor rights but also our retirement plan. The same cannot be said for his opponent, who clearly seeks to undermine the work our Union has done since it’s inception almost 150 years ago. In short time this election will be in the past and hopefully our country will continue it’s move forward. But please remember this, our duty as citizens does not end at the ballot box it BEGINS there. Whoever wins, at any election level, is accountable to us. It is our job to hold them to representing our interests. Thank you to all for exercising your precious right to vote. Gov. Scott Walker is taking his case to stay in office on the road, with an appearance before the Illinois Chamber of Commerce Tuesday before heading off to a GOP event in Troy, Mich.
And, of course, protesters will be with him every step of the way. It’s the kind of reception Walker has consistently received, both in-state and out, since successfully stripping Wisconsin public employees of most of their collective bargaining rights last year. Last week, hundreds of anti-Walker activists converged outside a fundraiser in Oklahoma City. Walker spoke Tuesday at the Abraham Lincoln Hotel and Conference Center in Springfield, prompting one pro-labor columnist to pen a “What-would-Lincoln-say?” column. Walker, who is facing a recall election on June 5, called the appearance a campaign stop, telling reporters that if he got the boot, Wisconsin could face the same multibillion-dollar deficits as the Land of Lincoln. That didn’t sit well with Democratic Illinois Gov. Pat Quinn, who issued a two-page critique of the Wisconsin governor. He also caught flak from the Springfield paper’s editorial board. From Springfield, Walker heads to a fundraising event in Michigan, where United Auto Workers officials are calling on members to show up in force. Also last week, Walker appeared at the National Rifle Association national convention in St. Louis, where he asked for help in his recall election. Commit to volunteer for 2012 today. I know that the 2012 election seems a long ways away but as of right now it is only a year and 5 days… For those who have been following the GOP candidates you can probably tell that the same old corporate backed politics is rearing it’s head. The perfect example of what their beliefs are can be seen on how the House Republicans are blatantly stopping any bills that would benefit the middle class. Consider what the ramifications would be if we didn’t have a President in office who put’s a stop to their attacks on us and our way of life. Please take the time to educate yourself and our Brothers and Sisters about the issues that are before us, and lend a helping hand to those who would help us. Work Safe! A little more than one year from now, we’ll all be doing one of two things. We’ll be celebrating the President’s re-election, and our renewed opportunity to keep moving this country forward. Or we’ll be wondering whether we could have done more — reached out and talked to more people, helped register more voters — when we still had time. I plan on waking up on the morning of November 7th, 2012, knowing that President Obama was re-elected and I did everything I could to make sure of it. We have a lot of ground to cover between now and Election Day — and we can’t wait until next year to get started. That’s why this week — one year out — we’re ramping up the volunteer push that’s going to get this president re-elected. Today, say you’re ready to be a part of it — whether that means you make phone calls next week, go canvassing early next year, or take on a leadership role in your neighborhood team in the months to come. Thousands of supporters are already at work on the ground, talking to their neighbors, pitching in however they can. But none of us can sit back on the sidelines and hope that work alone will be enough. It won’t. There isn’t going to be another November between now and the election: The twelve months we have left are all we’re going to get. Right now, we all have the time, and the opportunity, to step up and make a commitment to be a part of the work that we know will be the difference between winning and losing next fall. The reality we’ll all face when the dust settles after the 2012 elections is something we can affect with the actions we decide to take today. What really is the result of what has happened here in Wisconsin? From the cold snowy days of February to the hot Midwest summer an ideological struggle has taken place not only in Wisconsin, but across this nation. The results of the historic recall elections here may not have produced the desired results, but what I have seen in the last few months has shown me that winning GOP seats in the senate may not have been the victory we as labor members were ultimately looking for. The first victory achieved here was that the recall election even happened! The middle class as we know it is by all standards been under direct assault by extreme ideology. This is a known fact. The fact that the people of Wisconsin banded together to force this election may be the key to winning the battles in the future. The second victory has been won in the 18th and 32nd Senate districts where Democratic challengers won seats in what are traditionally considered Republican strongholds. This, to me, shows that the “middle class message” is being heard and the people are becoming more involved in standing up for their rights. I still find it amazing the emotions of the protests held in our capitol…who would have thought that unions, with their wide range of opinions could stand together shoulder to shoulder with not only each other but also with people of all walks of life from all around the state. In the statement of the protests and the recall efforts we find the lesson that we all need to move forward. President Lincoln stated 150 years ago that a nation divided against itself cannot stand. In the same fashion, we too must work to stop those who would divide us against ourselves. The armies of the Civil War reconciled their differences with cannon and bullets. We must arm ourselves with education and a fiery passion to ensure the future generation with the same rights and privileges our forefathers gave to us. This cannot be done by a small band of officers or leaders in our or some other union, but the battle must be fought by every member every day, the survival of our way of life depends on it. Together this battle can be won! A conservative group has filed the first petition to recall a Democratic Wisconsin senator over his stance on Gov. Scott Walker’s collective bargaining law. The committee to recall Dave Hansen of Green Bay has more than the 14,000 signatures needed to trigger a recall election. Election officials have 31 days to review the signatures, unless a court grants an extension. Groups attempting to recall Democratic Sens. Jim Holperin of Conover and Robert Wirch of Pleasant Prairie also are expected to file recall petitions on Thursday. Democrats already have filed petitions to recall four Republican senators. Both parties are targeting senators for their support or opposition to a bill that would strip most public employees of collective bargaining rights. Having returned once again from spending a few days in Madison, I find I am struggling with many thoughts running through my head. From a relatively small band of rally goers a few weeks ago, to the tens of thousands of not only union members, but also people from many other occupations and walks of life, a sense of resolve has developed that has not been seen for decades in this state. Who would have thought that the introduction of legislation, meant ultimately as an attack on the middle class of this country (yes the whole nation) would unite middle class workers in ways not seen by my generation. I am amazed still, thinking of the continuous deliveries of donated pizzas, each box marked with a city, state, or even country from which the donation had come, being handed out to those who are standing for their rights. Cooking donated brats for hours on end, shoulder to shoulder, with men and women from all walks of life. Words of “thanks for being there” from those who have no stake in collective bargaining, when it is I who should being thanking them for standing up for this precious right….. The list can go on and on… Calls and emails of support for Wisconsin workers pouring in from our Brother and Sisters in our organization, Legislators amid the crowd thanking us all for being there, and who can forget the 14 State Senators who by choosing to leave this state have done more to represent the people than staying here ever could. WHAT IS GOING ON HERE? I can only believe that at last the middle class has decided enough is enough. Gone are the days that government in Wisconsin, and across this nation, will only be thought of on Election Day. The times we are living in will, I believe, one day be recorded as the days when the American PEOPLE decided to take back their country. The sleeping giant of the middle class is finally coming awake…..
As leaders and members of labor in this country we often use the word solidarity, but what does this mean in the scope of labor in this country? For the past week Labor in Wisconsin has been glaring proof that solidarity is most certainly not dead in our working class. For decades now we have seen what can happen when we forget that we are all bound to work together for the common good of all…. We all understand that the quote “divide and conquer” has been used time and time again to separate and weaken us as labor organizations, but I am beginning to feel more and more as I spend time rallying with our fellow union brothers and sisters here in Madison that the quote from this time forward we should use is “Tyranny breeds SOLIDARITY”. It would seem to some that the fight for workers rights that is happening here in Wisconsin and across our great nation was lost by the labor movements at the ballot box last November, but I beg to differ…. The time is now, more than ever, to become active in having a say not only in our issues, but also the issues of the labor movement as a whole. We cannot stand idly by, or assume that the officers and leaders of our union will do this work for us. The time is now for all members to become active to protect the rights of workers in this country. The basis of the rallies in Madison has shifted from wages and benefits to combating the direct assaults by a republican administration on the basic collective bargaining rights of labor. This fight has been a long time in coming, and it is not slowing down. As of this morning there were rallies planned in 39 states, and support has been shown in Madison not only from union members in this country, but also from points all across the world. Maybe we should thank Gov. Walker for providing the spark that has lit the fire of solidarity that we need to restore the greatness for which our middle class has long worked. Contact: Rep. Louis Molepske, Jr. The bill also requires railroads to provide safety training and spraying notification to their employees. Neither the Federal Employee Liability Act nor the Federal Railroad Administration mandates the training of railroad employees in pesticide safety. Legislation protecting state railroad workers and landowners from accidental toxic pesticide exposure was overwhelmingly approved by the Wisconsin State Senate last night in a 29-4 vote. Assembly Bill 314, authored by Representative Louis J. Molepske, Jr. (D – Stevens Point) has already passed the Assembly, and, after a swift follow-up motion in the Assembly, will be placed before the Governor for his approval. I am happy to report that yesterday a Senate Committee Hearing was held on AB314. As a result of that hearing, Senator Plale, Chairman of the Utilities, Commerce, and Rail Committee, has stated publicly that AB314 will be voted out of the committee and moved to the Senate floor for a vote. As we work towards The Senate vote, we ask that all members contact their State Senator and express to them that this legislation is essential to the health and safety of railroaders in regards to the spraying of pesticide/herbicides on railroad property. If you do not know who your legislator is. 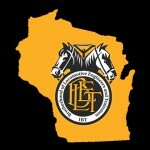 This information is available at http://www.legis.wisconsin.gov/w3asp/waml/waml.aspx this only takes a few minutes of your time but is a very good way for all members to be involved in the legislative process. I will keep you all updated as this legislation move through the Senate. I would like to begin by thanking chairman Plale and the entire committee for taking the time to hear about the importance of AB 314. This bill was born out of a fundamental need for a safe working environment in regards to the spraying of pesticides and herbicides on railroad property. All parties are in agreement that the elimination of weeds on railroad property is essential to safe operations, however, an issue arises when there is no information available regarding the chemicals used, when they are being sprayed and where these chemicals are being applied. We as rail workers, who work in the environment where these chemicals are applied, are put at a health risk when there is no information available regarding this spraying. How does this bill solve this problem? This bill would provide training for the worker who works in contaminated environments, and would also demand that the worker on the front be provided with four other key pieces of information. 1. The location and description of the area to be treated. 2. The name of the pesticide, it’s active ingredients and it’s registration number under the federal act. 3. The approximate time frame the pesticide will be applied. 4. Any restricted entry interval specified on the pesticide label. One can see how this information would go a long way towards the rail worker being able to take measures to provide for his or her safety. The railroad is already filled with day to day hazards. We as rail workers are asking that you help eliminate one of these hazards by voting yes for AB314. Thank you .